A two-part installation by Noa Yekutieli uses the mediating space between artwork, viewer, and reflection to grapple with the memory of war, disaster, and the recent conflict between Israel and Gaza, known as “Operation Protective Edge”. 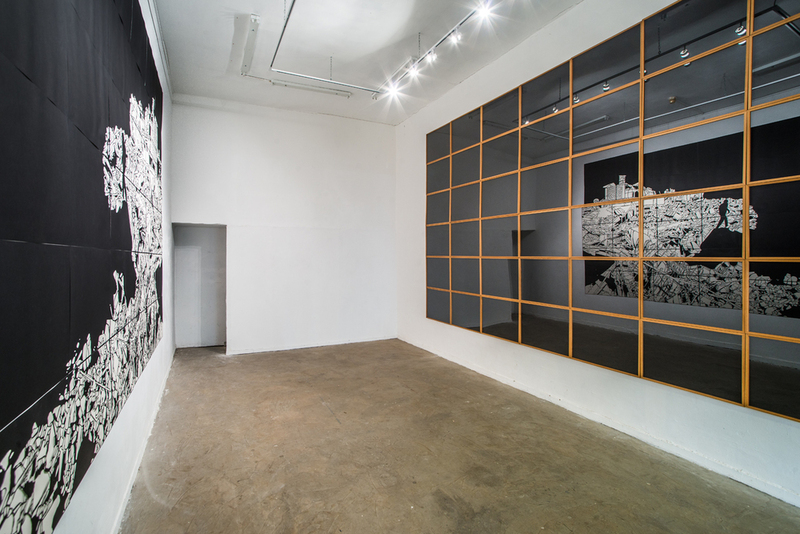 The physical and mental ruins of memory are explored in both the image of disaster revealed through cut paper and the reflection of the viewer within the context of the disaster reflected back. 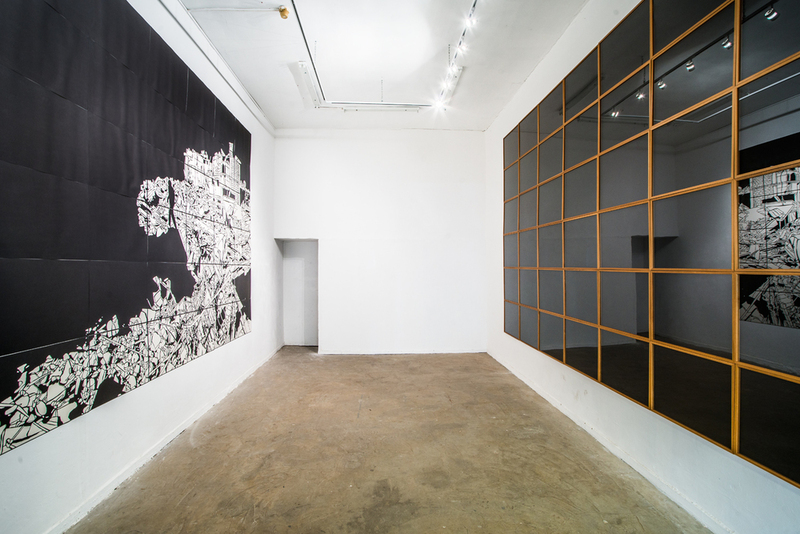 The installation, and others by Yekutieli, use the medium of black paper and subtraction as a metaphoric message for the the shadow of war, the shadow of destruction, the shadow of threat, and the shadow of death. In the image, the human-made disaster of war is seen from the fragmented vantage point of a lone figure who faces the waves of ruins left by the storms of war. 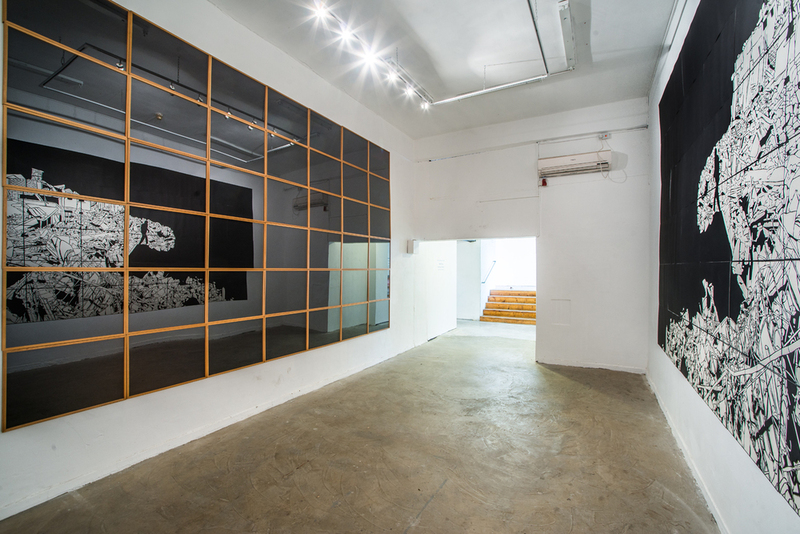 The deconstruction of the mirrored image on one wall is broken down by the grid of the 'empty' frames, or 'black mirrors' on the opposite. The accumulation of images in the reflection is similar to the accumulation of memories piling up. While the wall of the frames acts as our memory, or a 'time capsule' that attempts to preserve what is in front of it, the memory is deceptive and the segments are still subject to change as there is no objective 'reality' in memory.